Following in the footsteps of my last post about Cool Pinstriping, a post about cool hot rod art, drawings and paintings is needed for sure. We’ve shown you some great art this year, here’s just a sample. We’re going to put together a “Hot Rod Art” picture gallery soon, so we’ll let you know when that’s up and running. For now, peep these for your viewing pleasure! 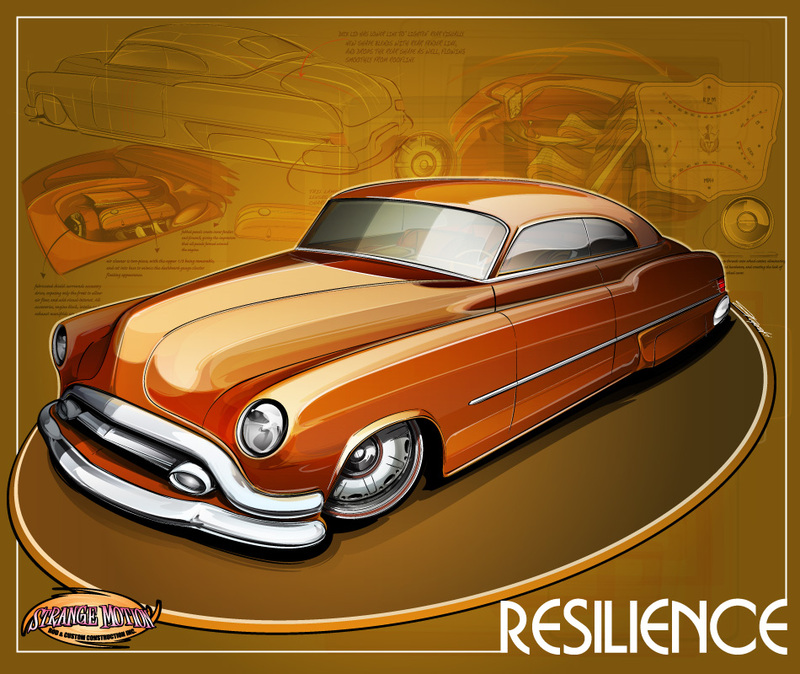 Included are links to the stories these pieces of hot rod art came from in 2009. Don’t forget to click the images for a Full Size view! 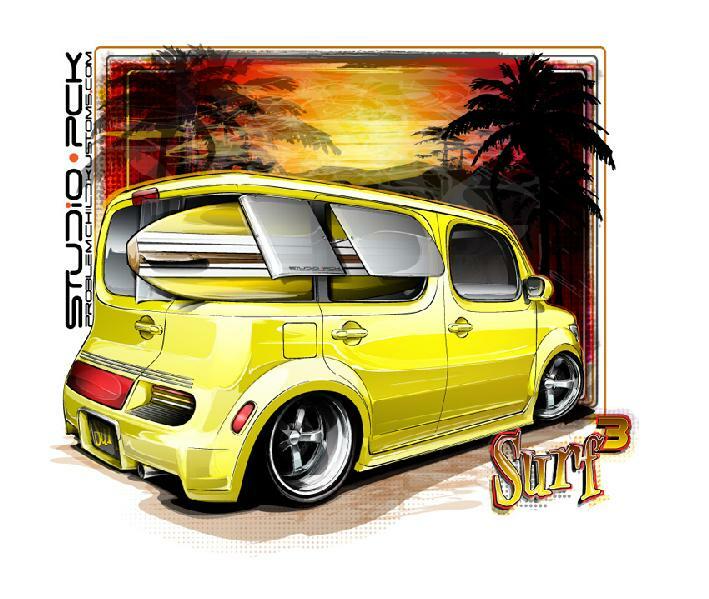 I personally have a print of this Ed “Big Daddy” Roth inspired Nissan Cube concept. Check the story out HERE! Next up, we have some hot rod sketched art by Alan Brightmore! These were a couple of my faves from 2009. 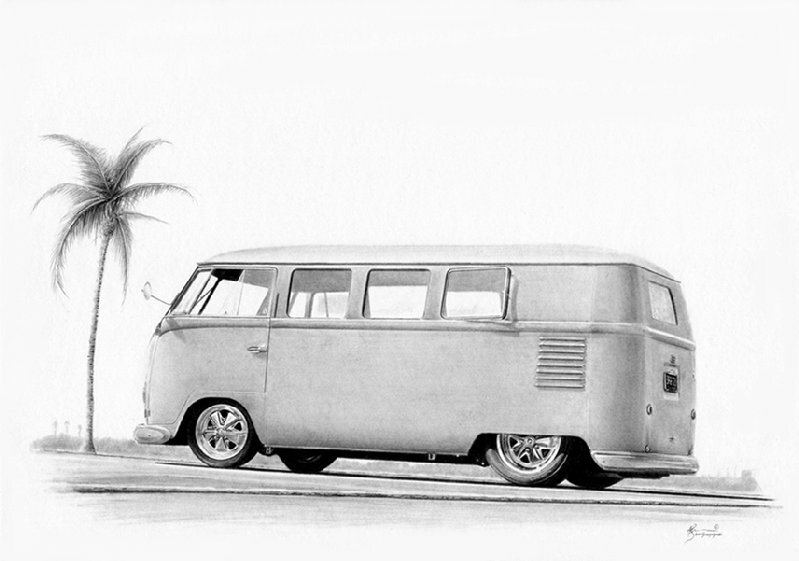 There was a time when I serious considered having a 60’s VW Bus custom as my family daily hauler. This is exactly how I’d want it to look! 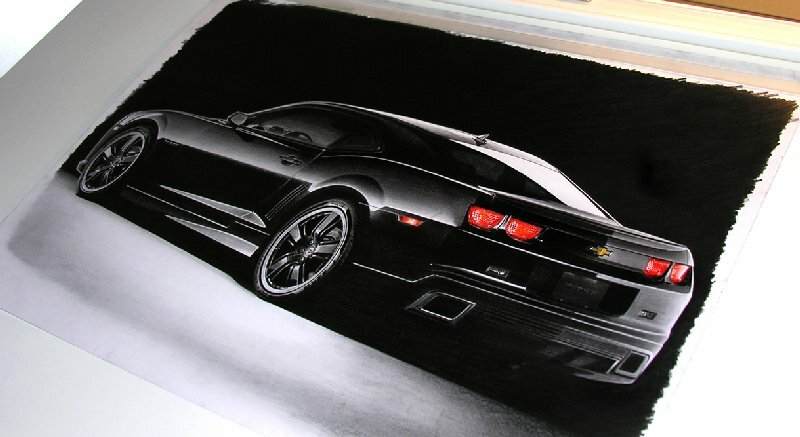 This Black Camaro sketch looks so real! Incredible, no doubt! 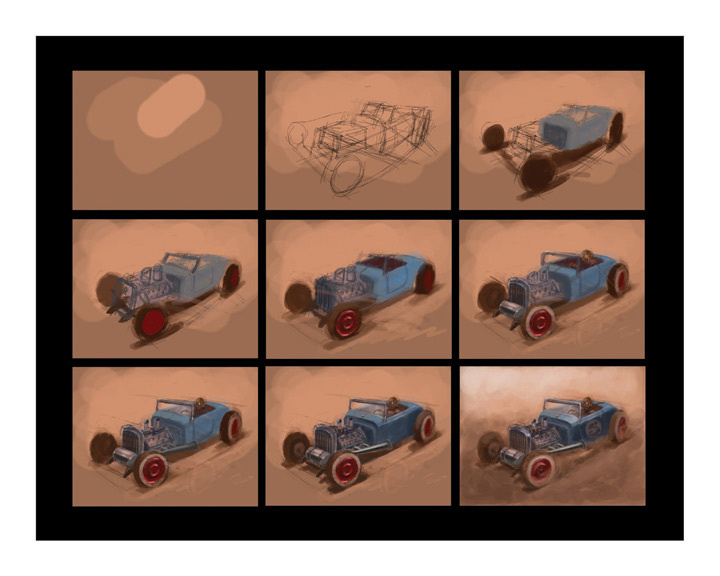 Dwayne Vance, author of “The Hot Rod Art Book” Masters of Chicken Scratch” shows off one of his demo pieces that takes you through the many iterations of a sketch, so cool. Makes it look so easy! I’m sure its not. That’s it for now. Check back as we’re putting together a Hot Rod Art Picture Gallery.